Small towns can be wonderful but when you're going through a divorce? Not so much. Where Azaleas Bloom starts with Lynn staring at a pile of bills and her checking account with less than $25 in it. You can feel her determination to protect her children, her frustration at her husband. Her confusion comes through too. Wanting to keep things private isn't really possible and it gets worse as it goes on. Questions are asked and some are answered. There was a bit of a "what happened to" for me. Lynn's Mother-in-Law is priceless...I wanted to string her up. We've been to Serenity before, recognize places and embrace people. Helen is once again a strong supporting character as Lynn's lawyer with Raylene as her new boss. Frances, Flo and Liz continue to have their own side story. While the divorce is a central part of the story, the budding romance and strong friendships are the focus. 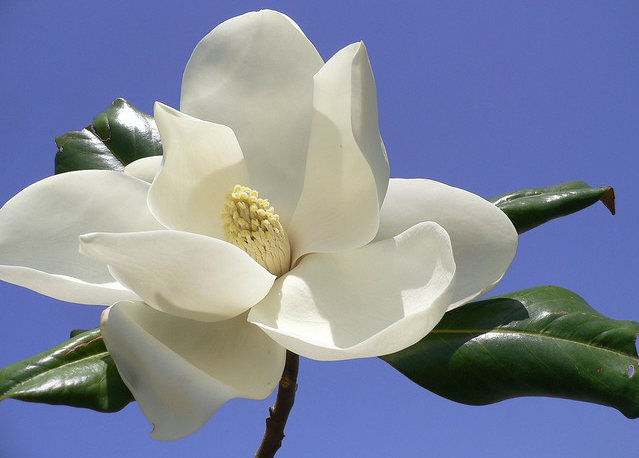 The deep friendships look to be carried over with the children of the Sweet Magnolias carrying on the tradition. I have reviewed the other two books in the trilogy and if this doesn't seem as glowing as my review for Catching Fireflies, it is only because I feel so strongly about bullying. This was an immensely satisfying read and I'm looking forward to reading the rest of the Sweet Magnolia novels. Where Azaleas Bloom is not available at the publisher at this time but is available for pre-order at amazon and Barnes and Noble with a release date of August 28. As always, check your favorite bookseller. Sherryl Woods website. She also has a blog and a Facebook account. Single mom Lynn Morrow is determined to put food on the table for her son and daughter. Her soon-to-be-ex-husband has failed to meet his obligations time and again-but it turns out that Ed is struggling with his own demons. Enter contractor Mitch Franklin, an unlikely knight in shining armor. A widower with two grieving sons, Mitch once admired Lynn from afar. Now he sees in her not only the sweet girl who got away, but a woman desperately in need of support. While rushing to the rescue of Lynn and her children comes naturally, he's also wise enough to encourage Lynn to find her own way...hopefully straight into his arms.